In the United States, every state has the right and ability to be unique and develop laws and guidelines according to how they want their government positions organized. Even if you have been a notary for years, if you move to a new state then you need to review and understand their requirements and purchase the necessary tools that correspond with these rules. The process information can usually be found on the state’s website so that you have an easy and convenient way to access the data. During the order process it helps to have the image guidelines so that you can verify that the manufacturer’s format is correct and the majority of vendors allow the customer to ask for a proof image. You should also know whether you need a rubber stamp, seal embosser, record book, specific ink color and other accessories. 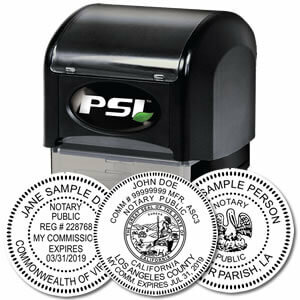 This ensures that you only purchase what you can use when performing your notary duties. Wyoming allows the use of both the inked stamp and the seal embosser independent of each other as long as they are formatted correctly. The circular seal can be no larger than 2” in diameter and the rectangular stamp can be no bigger than ¾” by 2-1/2” with the appropriate wording captured within a serrated or milled border. The image must display the notary’s name as it appears on their certificate, “Notary Public,” “Wyoming” and resident county name. 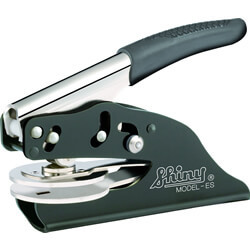 It is a good idea to have your certificate in hand in case the manufacturer requires proof that you are authorized to order these types of tools. In some states it is mandatory for the vendor to have this on file but is a good rule of business across the board anyway. One of the top benefits in working with a reliable manufacturer that specializes in this product is the fact that they have usually already done most of this work for you. All you have to do when placing your order is enter in the personal information that is required, determine the quantity of stamp or seals that you need and then finalize. 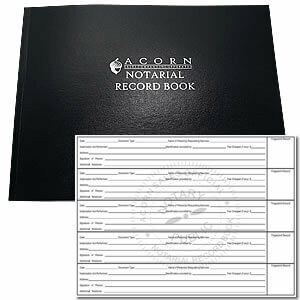 Since record books are required to document the transactions, it may be more cost effective to order a notary kit so that you get everything for one low price and in a single delivery. Make sure that you leave a clear and solid impression every time someone needs your services by having tools made from the best materials and known for their reliability and durability.